Is Tim Cook preparing us for an Apple AR product? As virtual reality continues to struggle, many people believe that the next big thing will be AR, rather than VR. 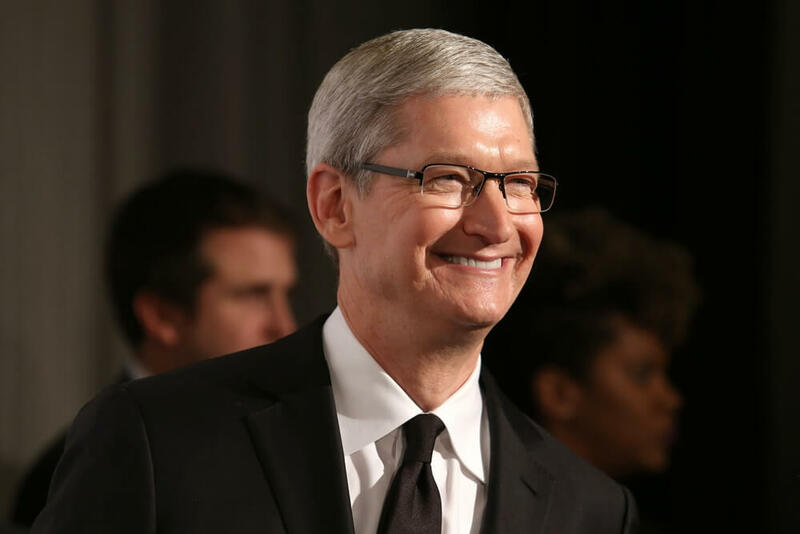 One notable augmented reality advocate is Apple CEO Tim Cook, who thinks it could have the same impact on the world as smartphones. AR, which overlays computer graphics and digital data on top of the real world, is arguably already more successful than VR, thanks to its use in smartphone apps like Pokémon Go. But the ultimate plan is for the technology to make its way into consumer headsets/glasses. Microsoft’s HoloLens is already showing potential (check out this AR Portal demo), though it’s still only available in its $3000 developer kit version. There’s also Magic Leap and its AR tech, but the company is still recovering from revelations that its early demo videos were faked. Tim Cook believes that AR will surpass VR because it doesn’t lock users into a digital space. “I’m excited about Augmented Reality because unlike Virtual Reality which closes the world out, AR allows individuals to be present in the world but hopefully allows an improvement on what’s happening presently,” he told The Independent. Cook went so far as to compare the technology to the smartphone, explaining that it could help people everywhere in their everyday lives. I regard it as a big idea like the smartphone. The smartphone is for everyone; we don't have to think the iPhone is about a certain demographic, or country or vertical market: it’s for everyone. I think AR is that big, it’s huge. I get excited because of the things that could be done that could improve a lot of lives. And be entertaining. I view AR like I view the silicon here in my iPhone, it’s not a product per se, it’s a core technology. But there are things to discover before that technology is good enough for the mainstream. I do think there can be a lot of things that really help people out in daily life, real-life things, that’s why I get so excited about it. It’s not too surprising to hear Cook talk about augmented reality this way, especially as Apple is almost certainly working on an AR product. Back in July last year, the company all but confirmed it was developing some type of augmented reality device. A few months later, Cook called AR a “core technology,” while reports of Google Glass-style AR glasses being developed by Apple arrived in November. While there’s no indication of when Apple may release its AR technology, don’t be surprised to see something arriving this year. The company used similar language just before the launch of the iPhone and Apple Watch, so it looks as if Cook is getting Apple fans and investors ready for a big announcement.